Pomona, Calif - After being subjected an unannounced pay cut from $10/hr to $8/hr, Cal Poly student marketing representatives Austin Garrido and Sarah Doolittle were fired by their employer, Uloop.com, for attempting to organize a worker's union. The students were fired from their part-time jobs 20 minutes after posting a message in an online inter-company form announcing their intention to form a union. Doolittle and Garrido have filed charges with the National Labor Relations Board. "My job with Uloop supported my education", said Sarah Doolittle, a former Uloop student rep. "It's disappointing that Austin and I were fired for choosing to exercise our legal right to form a union." 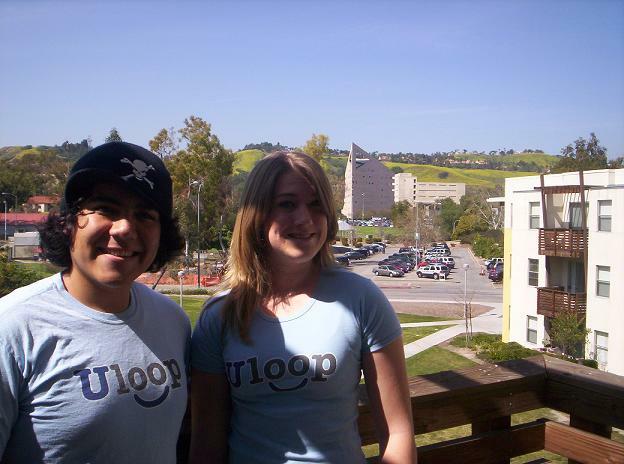 Uloop.com is an online marketplace for college students currently operating in 50 campuses across America. The website hires two student representatives at each University who are in charge of promoting the site to fellow students. "How can a company that caters to students, treat its own student workers so poorly? ", asked Austin Garrido, a former Uloop student rep. "You would expect better from a Silicon Valley high-tech company." The National Labor Relations Act of 1935 extends rights to many private-sector employees including the right to organize and bargain with their employer collectively. Employees covered by the Act are protected from certain types of employer misconduct and have the right to attempt to form a union where none currently exists.